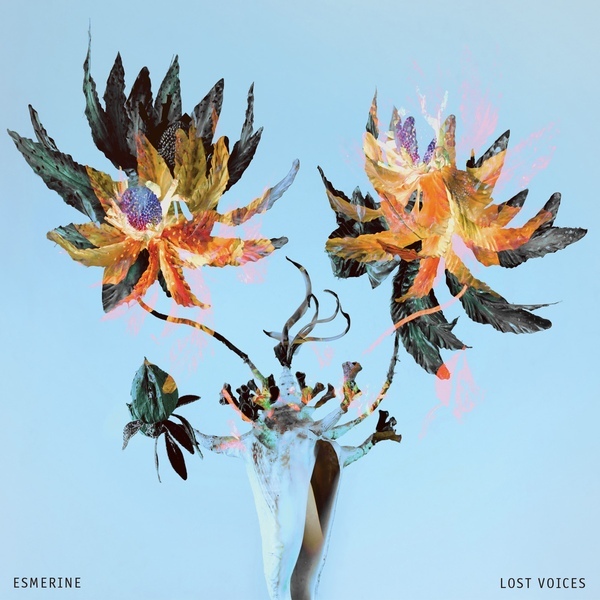 Esmerine are one of many bands associated with the Montreal community of musicians which include post-rock groups such as Godspeed You! Black Emperor and A Silver Mt. Zion, and they are especially noted for emphasizing strings (cello and violin) and mallet percussion instruments (such as marimba and vibraphone) over guitars. Their usage of instruments such as sarod, darbuka, and riq give their music an air of otherworldly mystique, but it still has a directness and familiarity to it. Songs such as “A River Runs Through This City” have upfront, snapping drum beats and clear, chiming melodies. “19/14” plays with the tricky time signature implied by its title, but the way it incorporates its melody into the steadily growing waves of sound proves to be enrapturing rather than difficult. “My Mamma Pinned a Rose on Me” is a sublime sea of marimba and strings which sets the tone for the exotic-sounding “Funambule (Deux Pas De Serein)”, which elevates to the most intense crescendo on the album. The album’s last two pieces are shorter and more peaceful, concluding with the graceful “Lullaby For Nola”. A seriously lovely album, full of suspense and wonder.